I came back from work to the news that G.O will enlist in 3 days. 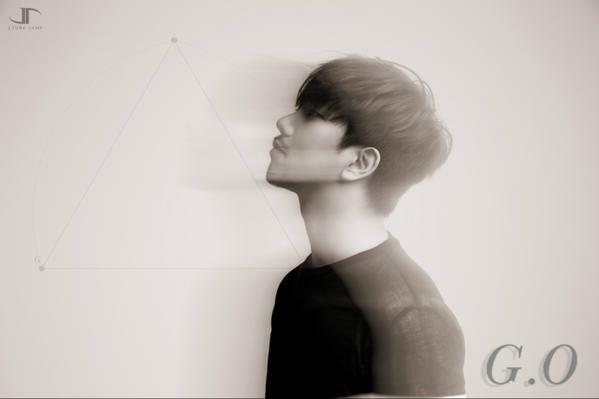 February 18, 2016 is the day all G.O fans will shed their tears. Though we all know this day will come, but to finally hear it I can’t help but feeling emotional and teary. I have been following his singing career religiously until recently that I sort of shy away from all GO stuffs since it can be overwhelming to my current emo state. G.O is a timeless singer of all time and I know he will understand that this fan of his needs a time of her own since 2016 can be overwhelming to herself too. Breaking News: It’s G.O Day! Well, we don’t know for sure but I’m sadden by the news when I read it this A.M that G.O is ill. He was hospitalized (still unconfirmed) due to his vocal cord issues. I’m extremely afraid of what would happen next. I heard it was just nodules and it is not as bad as we think. *shrugs* All he needs now is to rest. I hope he will not have to go to surgery to remove them. We all know the consequences – it could damage his vocal cord and ruin his voice. And… let’s not think too far! I really hope he is spared from all this. With his schedule fully booked since Saturday, I really hope he gets plenty of rest. But I can assure you that he will be out and about in no time, especially knowing that JTune doesn’t market them well enough. G.O, Seung Ho and Mir have lots to carry on their shoulder. 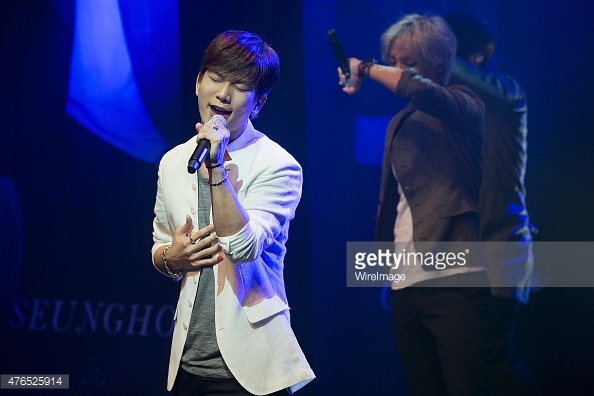 *cries* Let us all pray for speedy recovery to G.O and gets plenty of rest whenever there is a room for him to do so. Yeoreobun, annyeong! Sorry for this late posting as I’m still exhausted from my quick getaway to Tokyo last week. What was I doing there? 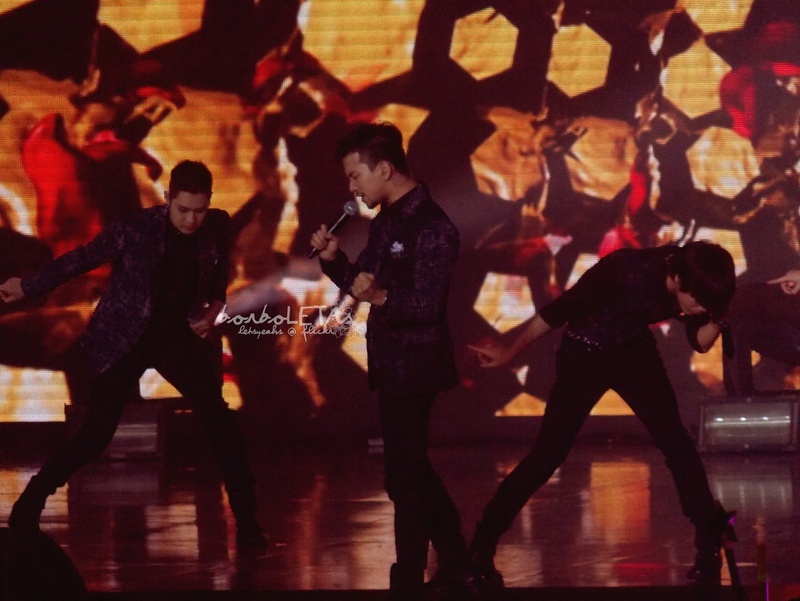 To attend their perfomance and to shake hands with the MBLAQ men, of course! And I did it! I wish I had this opportunity more often prior but hey, I’m not going to dwell much but simply cherish every memories I have with them. I’ve met several K-pop groups in the past but my feelings for them were different. I enjoy their songs and attended their concerts as their not-too-crazy-fan fan. But with MBLAQ’s concert, the feeling was much different. Bittersweet yet happy! Their songs are unconventional and unique yet good, and the group loves exploring new genres and styles of music. To brand them as a k-pop group now is really unfitting and unsuitable as they are moving away from that to more of a jazzy, r&b ballad style music. And hence, they’ve been upgraded from boys to men! Just to jolt your memory, let’s visit Stay. This song is one of their earlier songs that is branded very kpop! Look at the MV. It was shot in a typical studio set and the music is the upbeat and typical kpop! And several albums later, MBLAQ came out with This is War. It’s a completely different concept and you can see how they mature up in this vid. You can see the music concept has matured and their talents were enhanced through this song. I believe it is a not an easy song… Correct me if I’m wrong but This is War requires various range of vocal to produce such harmony yet powerful melody! Today, there are three men leading the group. They just released their 8th mini album yesterday (June 9, 2015) and I’m currently in love with the perfection of this album! It’s just that good! By now, they have completely left kpop genre and definitely in the jazzy and r&b land! I 100% approve of their decision! 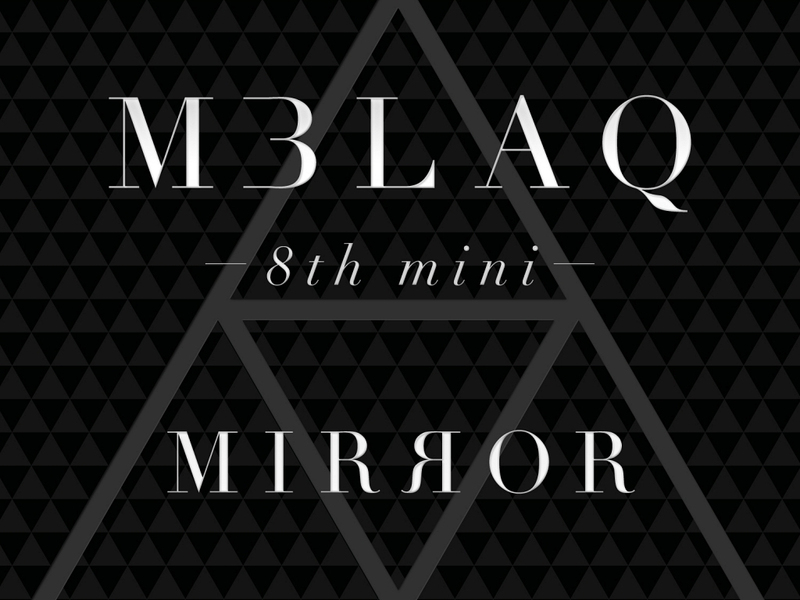 Here is their latest new hit, Mirror (open with Resurrection), performed by M3LAQ for Show Champion! The men’s journey is far from over! I’m extremely excited to see them back in radar! I look forward to many more live performances by them! Keep supporting M3LAQ, y’all! Need I say more? These images for the men’s 8th mini album is officially out!!!! My twitter line is packed with retweet and favorited tweets! I’m so excited and can’t wait to see the trio before my eyes! Notice that their initials are on the corner of each triangle. Seung Ho has the most complicated one, Mir is perfectly balanced since there are three letters on his and GO is the least complicated one. I’m GO bias so I can’t help but staring at his softer yet manly gaze. I could hardly breathe when I saw his teaser image. He is perfectly balanced, and utterly handsome! His hair is perfectly combed and his body language showed us he is ready for this comeback! Again, need I say more??? As for Seung Ho, the handsome leader, is forever handsome with his signature hair style. His reflection really matches the title of this album, Mirror. His triangle is the most complicated one of the them all… Perhaps it is because he is the leader? Well, we do know that as a leader, he has the most important duties of them all but I love how he cares of his two maknaes, G.O and Mir. I must say, Mir is looking good as blonde. 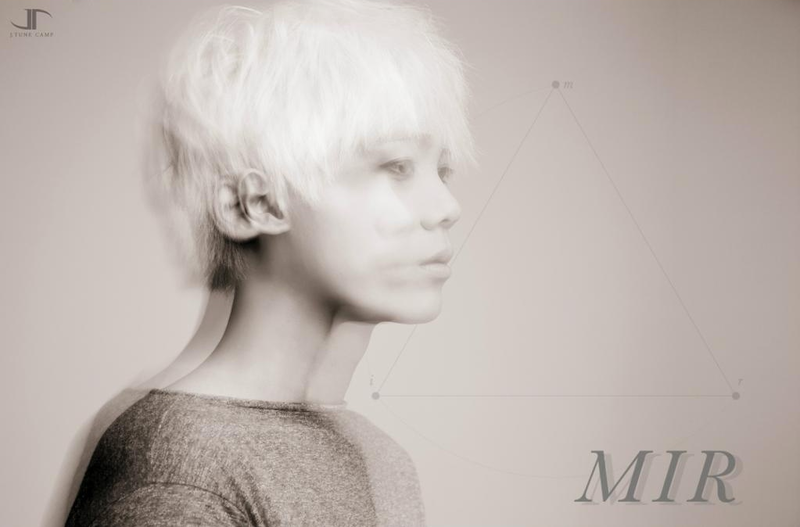 I think this black and white image made Mir even more beautiful. This image is totally stands out – guyliner and blonde – perfect combo! Now, where is that MV trailer, JTune??? 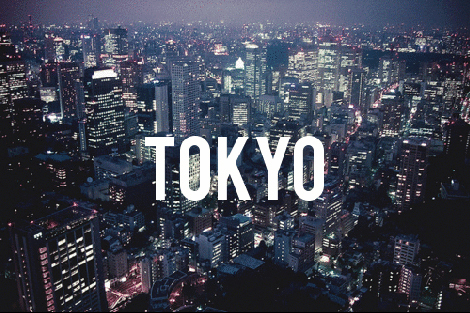 Wednesday Eu-Mak: Fangirling my way to Tokyo!!!! YEAHHHHHHHHH! I’M JETSETTING TO TOKYO TO WITNESS THE BOYS IN PERSON!!!!! *screams*. Oh my God, oh my God oh my God, I can’t believe this myself! It took me forever to decide but finally, after days of talking with my hub, he finally gave me a green light!!!!! And he said yes on my birthday!!!! Happy birthday to me! This is the wildest, unexpected birthday gift I have received in my entire life! As a mom, I quit receiving and more giving and to receive a nod from hub is a big deal to me! VERY BIG DEAL! Another big deal? *wiggles brows* I’m going to be there with Michele, Marisol and Marlena!!! This is going to be a one helluva fun adventure! I’m so excited!!!! The boys are set to make a comeback next month and I am guessing that they will serenade us with songs from their newest album. I’m excited to see the TRIO before my eyes, although deep down how I wish they are still the fab five I’ve known them since 2011 *pouts*. But it’s ok, life goes on and I’m happy with the TRIO. 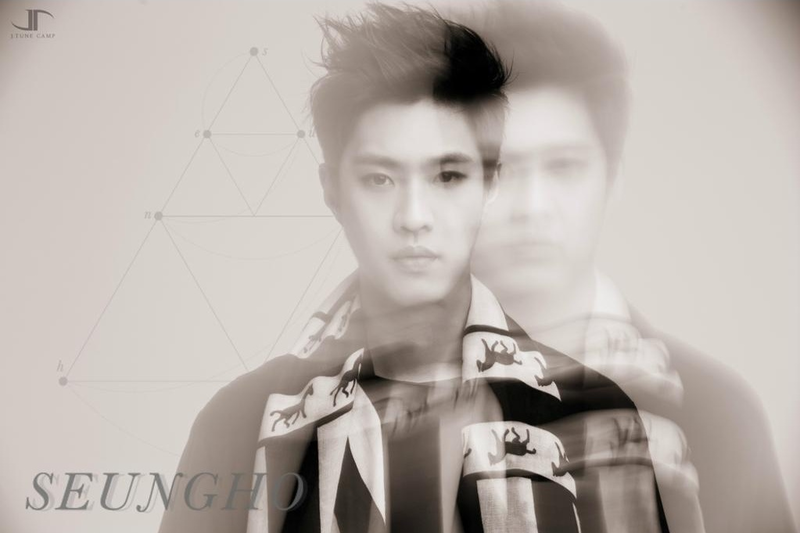 Seungho has been teasing us with photos of him and his maknaes since April 28! I love these photos! And the most recent one was yesterday… Right after the making of the MV! OMGosssssshhhh… It is happening, A+! Keep it coming, Seungho!!! And here is a photo taken during their dance rehearsal! Thanks, Kevin! Okay, now here is to my adventure with my MBLA+Q sisters *raises imaginary champagne glass* and together we will commit and devote our endless support to the group! Thanks for squee-ing with my! ^^ And before I leave, here is my all time favorite song in Japanese, Cry. The boys will make me cry… But those tears will be tears of happiness! Na gan da! Breaking News: Happy Birthday, Michele! Yeap, today is my MBLAQ eonnie’s bashing birthday!!! 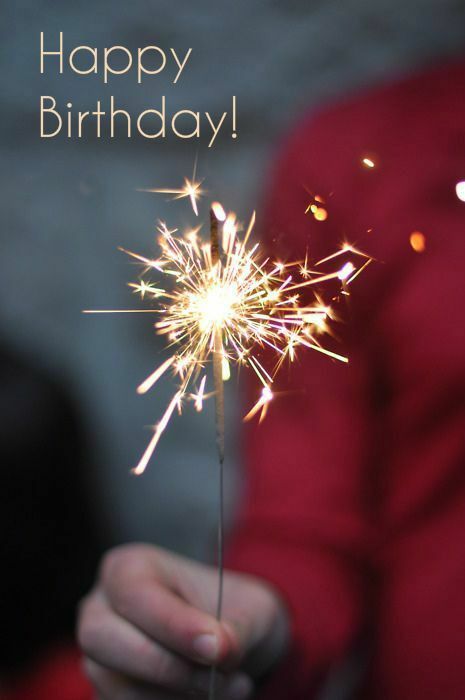 Happy birthday, Michele!!!! Will you blow that candles? Pretty please? Next, Play That Song because really… this song is so warm it represents YOU as the ever warmest G.O’s fan I’ve known to date! And the next song is as beautiful as you are, inside and out! 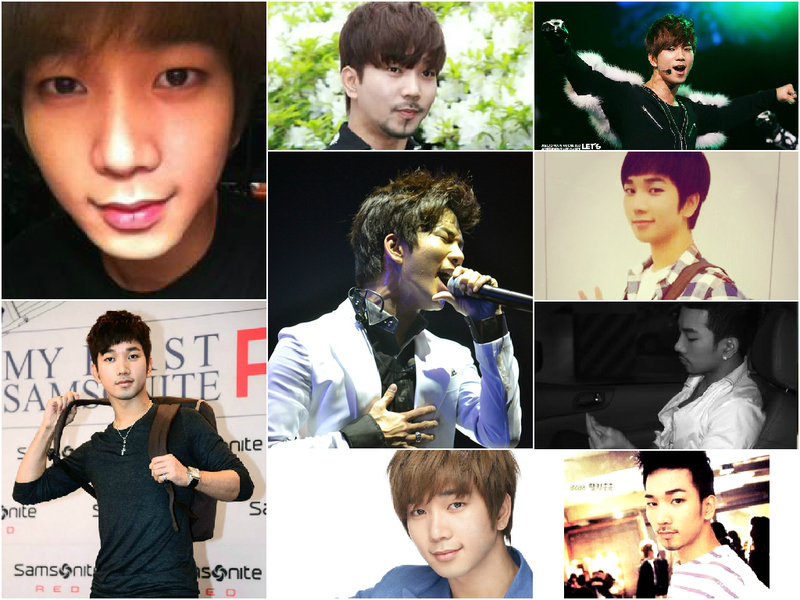 You are truly an inspiration for all MBLAQ A+ out there! No one can ever top you when comes to loving GO. This is the truth and I’m proud of you and grateful to know you. I feel like a mom watching her daughter growing up with GO *beams*. You are the best, Michele, and I adore your dedication and devotion for the man! This is something I don’t see in anyone but you! Lastly, allow me to share this beautiful poem just for the birthday girl! Michele, I can’t wait to hang out with you soon!!!! 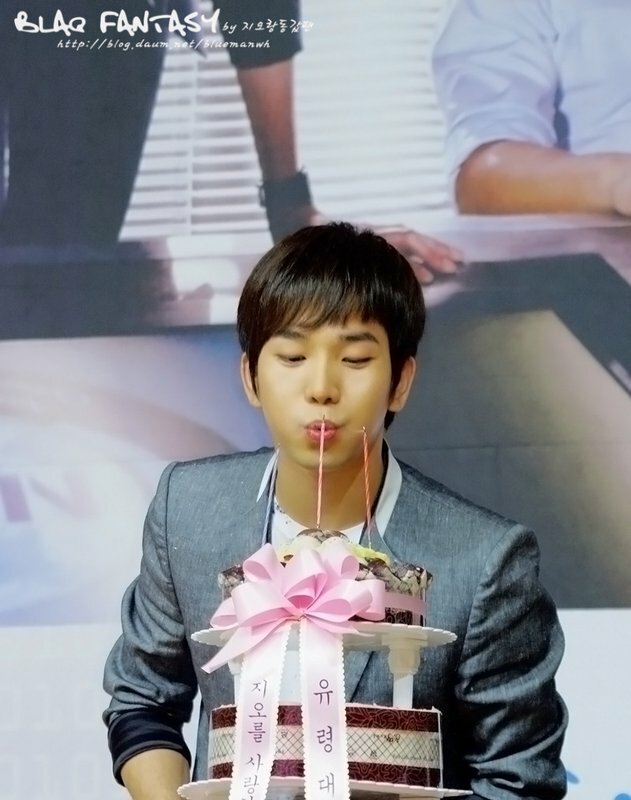 HAPPY BIRTHDAY TO THE MOST HARDWORKING AND DEDICATED PERSON IN MBLAQ WORLD! LOVE YOU, MICHELE!!! !